In the ESPN article introducing the world to Kevin Durant’s impending mogul-dom and new ESPN+ show The Boardroom, we’re told, “players such as Andre Iguodala and Stephen Curry started getting chummy with the venture capitalists and digerati who drove up from Silicon Valley to sit courtside at Warriors games.” And if the term “digerati” doesn’t make your brain start eating itself, you’ll live long enough to realize that the combination of Golden State Warriors success and close proximity to Silicon Valley is creating a whole lot of opportunities on both sides. One of those opportunities appears to be the emergence of more Warriors-related TV series than we can keep track of. 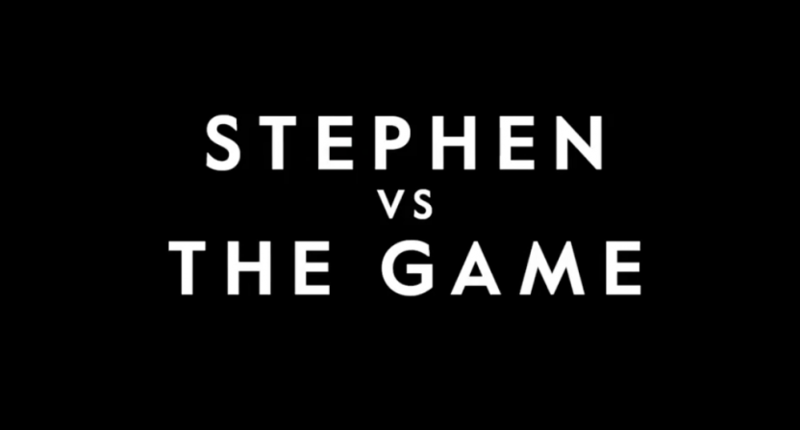 Durant’s show is off and running on ESPN+ (though Deadspin does its best to dissuade you from watching) and now comes news that Steph Curry has his own docu-series lined up. In true digerati fashion, the show will be broadcast on Facebook Watch. According to The Washington Post, the series will follow Curry across 2018, beginning with the Warriors’ playoff run to another NBA Championship and then shifting into what his life looks like during the offseason until the current NBA season starts. It will feature behind-the-scenes footage of Curry’s training, his family life, and footage from his youth. Reed is literally correct as the tweet that announced the docuseries comes courtesy of SC30 Inc., which happens to be Steph’s own company. This push of pro athletes controlling their messaging through the release of crafted documentaries and shows has really taken off recently, especially in the NBA. While plenty of pro athletes have created that kind of media space for themselves in the past, players like LeBron James, Kevin Durant, and Curry seem to be at the forefront of creating a new level of stardom in the sport, one that controls its own image even further from the court than before. Director Gotham Chopra has carved out a specific niche for himself working on docu-series with star athletes for Facebook Watch. His previous series, “Tom vs Time,” which chronicled the life of Tom Brady, was released on the platform in 2018. Chopra told The Post he got around 60 to 70 hours of raw footage, which will then be turned into multiple, 15 minute-long episodes. It’s unclear just how many episodes there will be, though “Tom vs. Time” ended up being six episodes. The docu-series is expected to air in the spring. By then, who knows how many more Golden State Warriors will have their own shows?